Andrea's dedication to her clients - "My clients are very important to me and I take seriously the level of confidence they place in me. I spare no effort to ensure they receive the utmost in professional service" .
" I am fortunate that I get to wake up everyday feeling excited about what I do. " For Andrea, Real Estate is not just a job it is her chosen career and passion! She motivates everyone involved with her genuine and infectious enthusiasm to deliver the highest possible level of customer service. Andrea is a graduate from Douglas College in Hotel and Restaurant Management. She brings years of management and customer service experience from her time in the restaurant business. 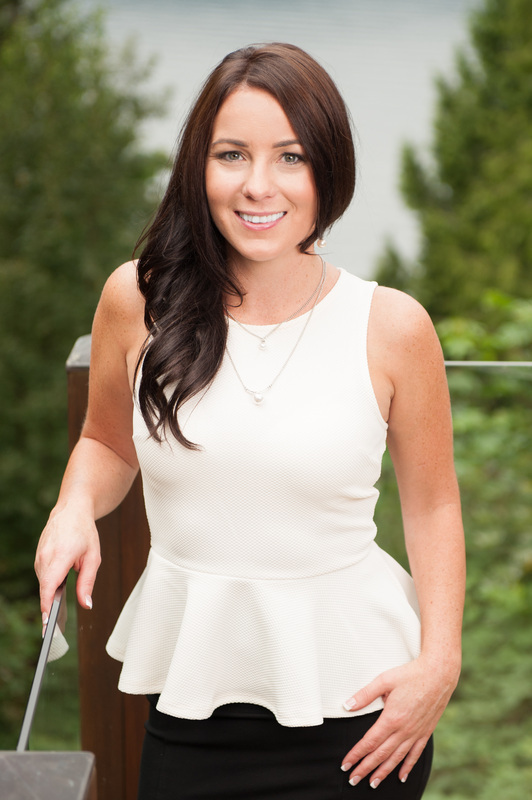 She has also gained a wealth of sales and marketing expertise from her past position as a Sales Coordinator with an industry leader in multi-family residential developments across Greater Vancouver. Andrea was raised in Real Estate, in 2006 she joined her family to assist with the Sales & Marketing of their luxury home building business Marcraft Homes Ltd.
Now a nine year veteran REALTOR© specializing in the Tri- Cities area, and certified as a Luxury Home Specialist, she has successfully developed a loyal following of happy, satisfied clients. Andrea understands the importance of a detailed and sophisticated approach to selling properties. She, with the help of her Pinnacle Group Real Estate Marketing partners, will give her clients a realistic and comprehensive evaluation of their home, award winning professional photography, advice and assistance in showcasing their property to its best advantage to realize the greatest return on investment for her clients. In her spare time you will find Andrea event planning and volunteering. She has hosted many successful events including the popular “ Ladies Night In ” Fundraiser featuring Wine, Women and Shoes benefiting the BC Cancer Foundation Women’s Cancer Division www.ladiesnightin.ca and volunteers for the Eagle Ridge Hospital Foundation Evening of Caring Gala. You can also catch Andrea Live on the Radio Real Estate Show each week with Tom Lucas and Sherry Brown featuring real estate segments in the Tri-Cities.